Why: These ricotta hotcakes are like little fluffy clouds of pure joy. Check out new Granger & Co in Kings Cross. There is no denying that King’s Cross is undergoing a dramatic transformation and there couldn’t be a more exciting area in London to be a part of. Expect a central bar, wraparound olive leather banqettes and pink marble tables, an ideal place for a breakfast meeting, an indulgent brunch with friends, a salad with work colleagues or dine in style in the evening. 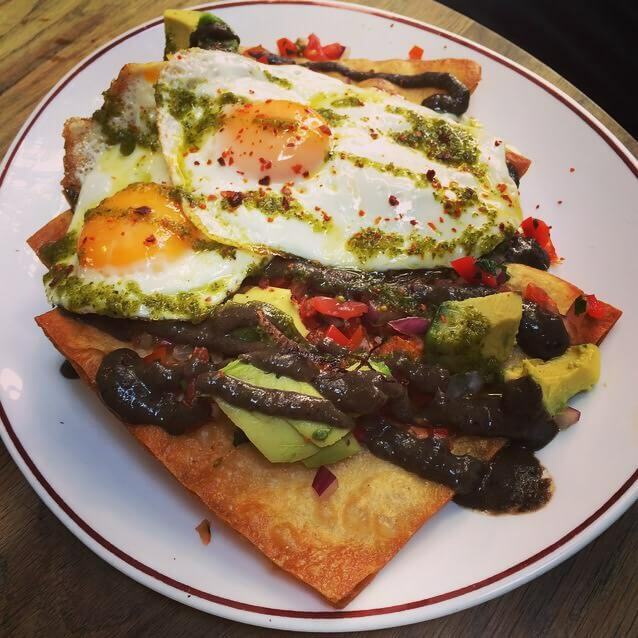 Why: You can’t beat the wonderful and wacky fusion cooking here – this cafe, located near Seven Dials, Covent Garden, is the perfect place to meet, eat and drink in the West End. They do fantastic coffee and fresh juices, energising and hearty breakfasts with seasonal ingredients and weekend specials. Eat all the brunch. Spiced banana French toast, grilled bacon, orange blossom labne, tamarind raisin relish, orange vanilla syrup and Kopapa’s hot-smoked salmon, toast, spinach, 2 poached eggs, yuzu hollandaise. 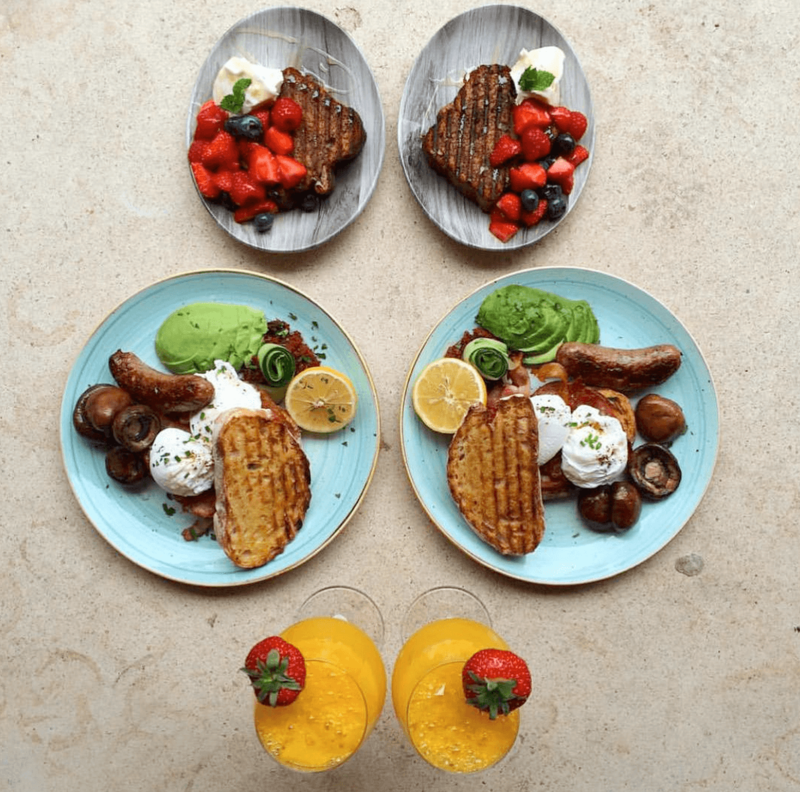 Why: Celebrate the joys of a lazy weekend in the capital with a revitalising Melbourne-style bottomless brunch at Beany Green, Broadgate Circle. Come here for either The Bondi, award-winning Banana Bread Sandwich with lashings of honeyed mascarpone and fresh berries or gluten-free Broccoli Bread with poached Burford Brown free-range eggs, fresh avocado, tofu mayonnaise, feta and pumpkin seeds. Combine these dishes with bottomless Prosecco, local craft beers and boozy Bloody Marys (£33) and you’ll feel like you’re back in Bondi in no time. Add in some cool live jazz, familiar sunny Aussie accents and striking street art, and you’ll never want to leave. Why: Stories is a buzzing neighbourhood bar for Broadway Market brought to you from Mothership Group, the folks behind the Queen of Hoxton and The Book Club in Shoreditch, and Patterns in Brighton. Stories fuses daytime boozy brunches, cocktail-fuelled evenings, thirst quenching weekends and a thought-provoking programme of cultural events, live music, DJs and contemporary art. Its a daytime hub for freelancers, mates and mums to meet, eat and work and a evening bolt-hole for getting together with friends. Seriously good brunch. 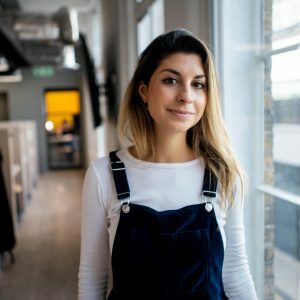 Why: 26 Grains is the breakfast-loving creation of Alex Hely-Hutchinson. 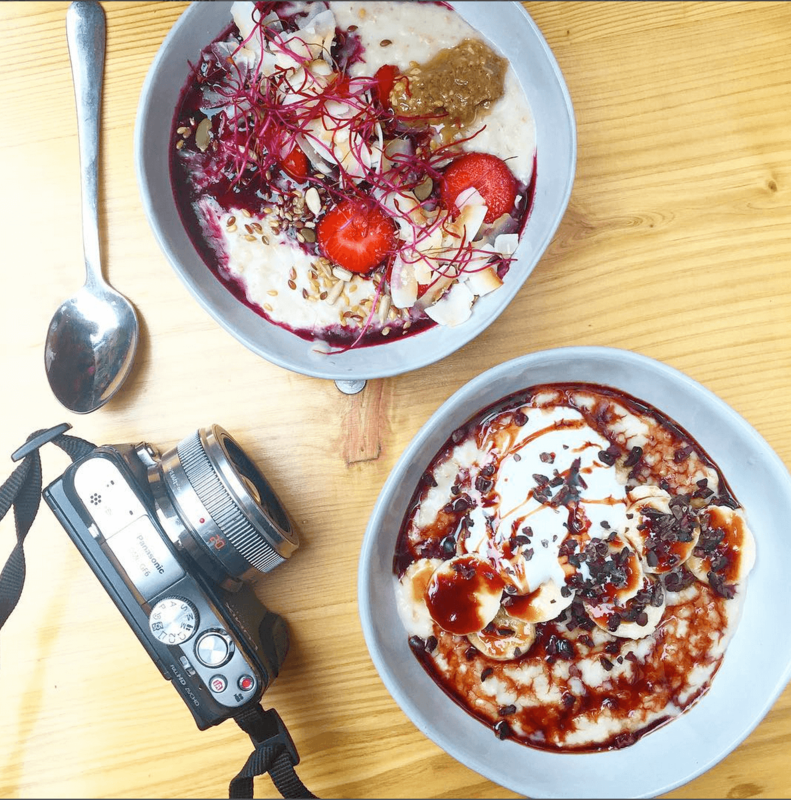 She combines her trusty secret porridge recipes and a big spoonful of love to create beautiful, fresh bowls of porridge goodness at her Covent Garden cafe. Think carrot cake inspired porridge with carrot juice on an oat and bye blend with spices, toasted nuts and ginger maple. She is inspired by Scandinavian influences; finding inspiration from Scandinavian cooking traditions and spices and the menu features a selection of healthy dishes based on grains, spices, and fresh ingredients. 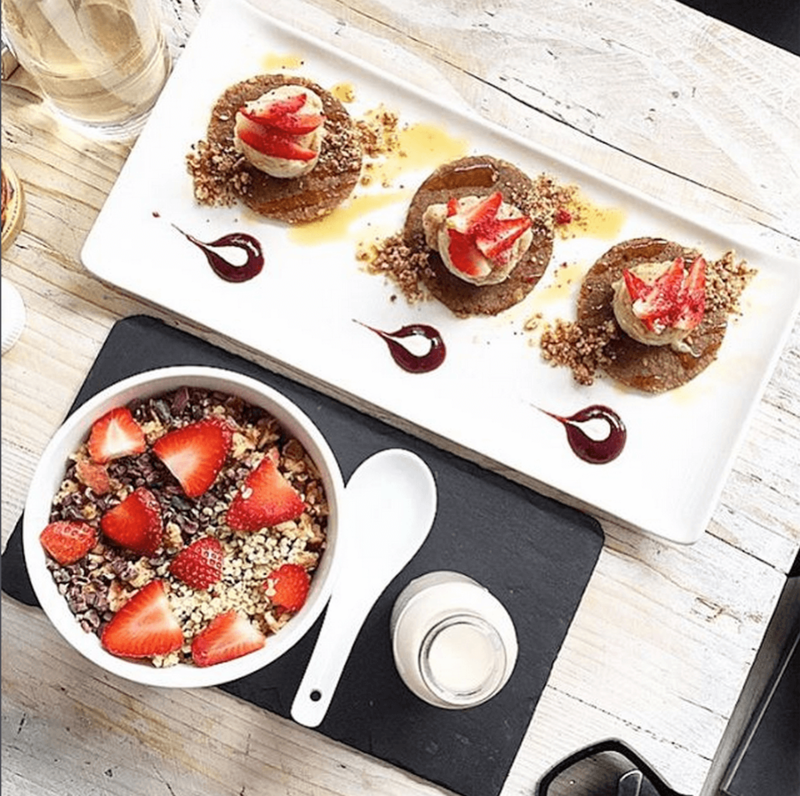 With many dairy-free options, it’s a great spot for the health-conscious breakfast in London. 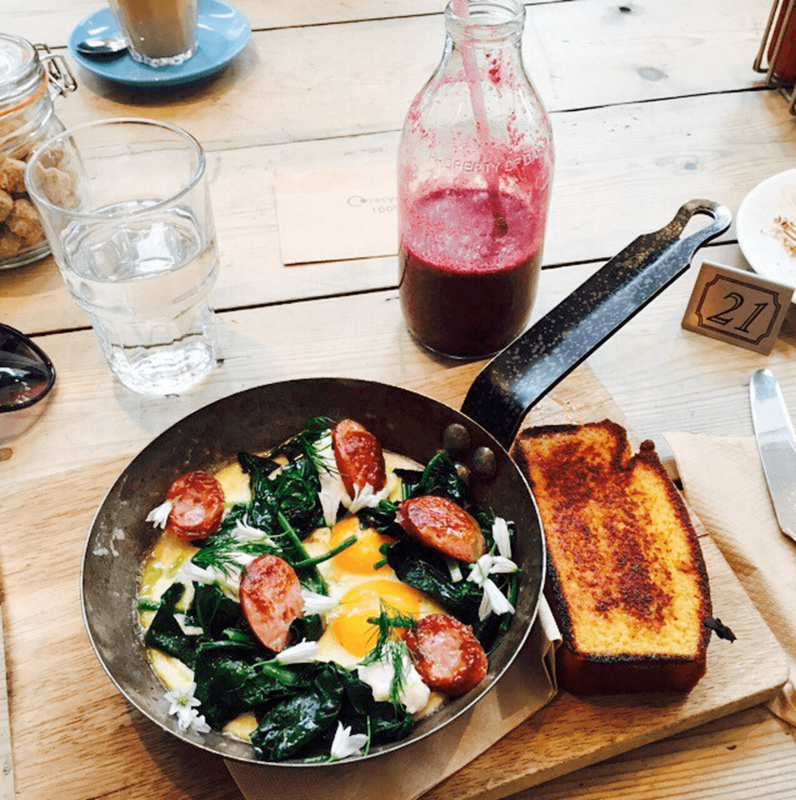 Why: MUD Tooting is an independent, laid-back, antipodean-style café located in the heart of Tooting, South West London. 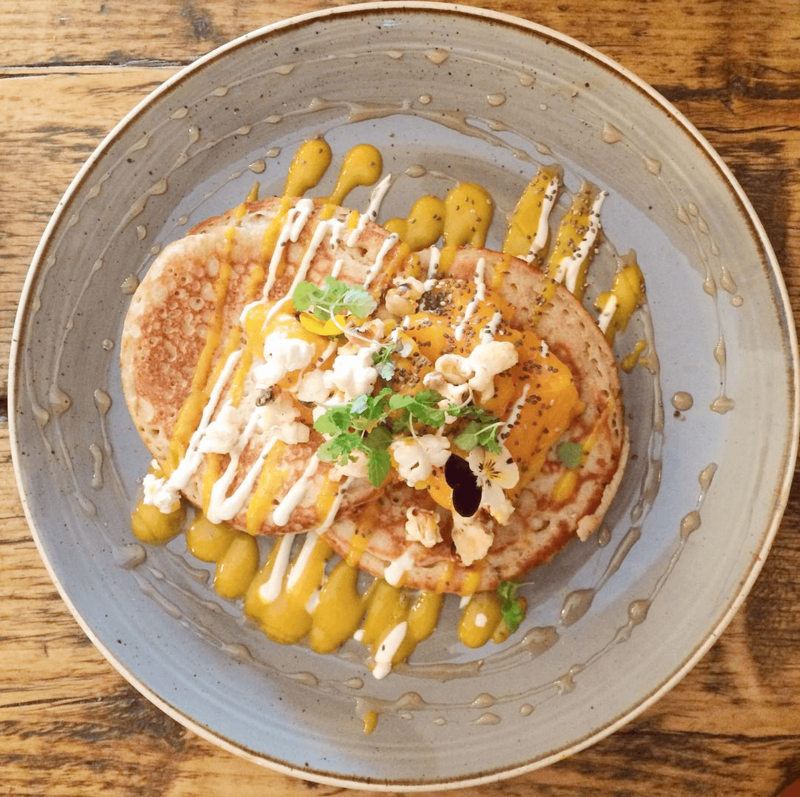 They pride themselves on providing great tasting coffee, awesome brunches and freshly-prepared cakes and sandwiches – and incredible buckwheat pancakes, in either pear and pecan or sometimes mango flavour (above). United by their love for food and drink, they took the plunge with Mud to offer Tooting something extra, an easy-going all day dining place with proper coffee. Come and see brunch beauty in all its glory. Why: Mismatched tables line this bright eatery with outdoor seating for modern British brunch and dinner. 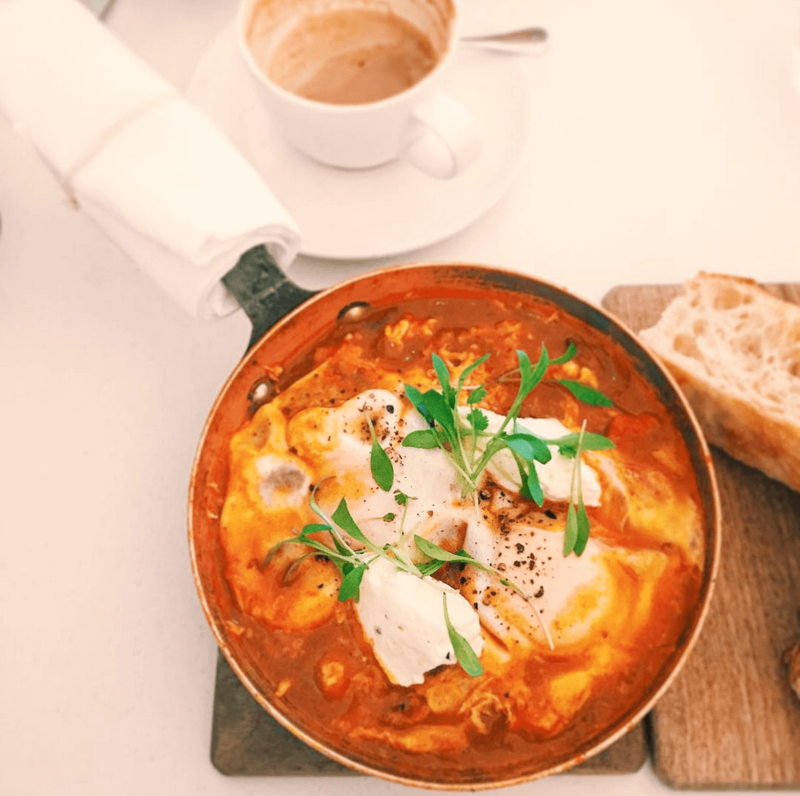 Perfect for a lazy weekend brunch, the menu here cannot be beaten. 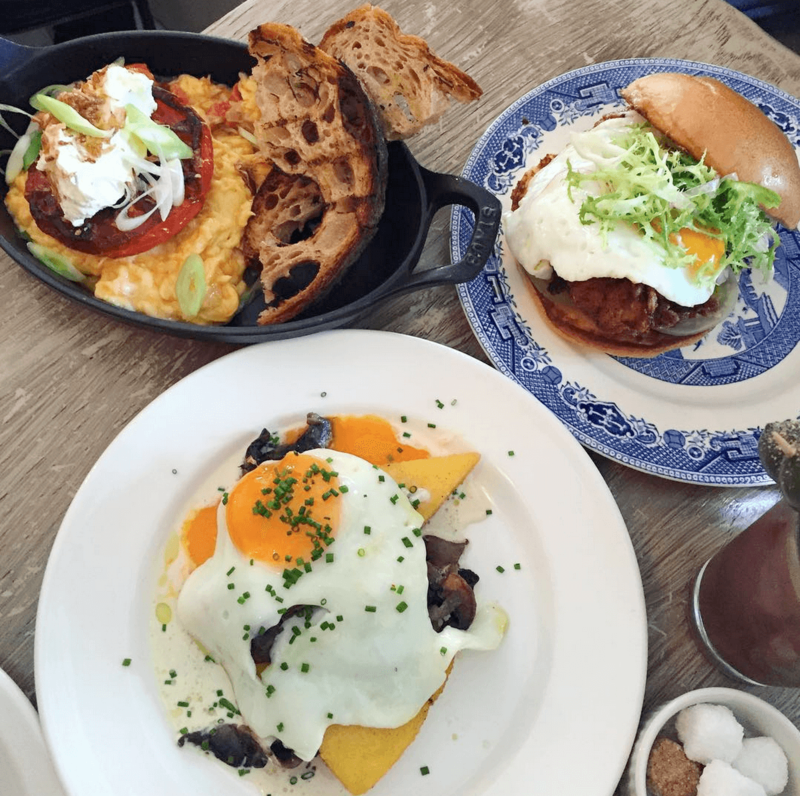 Sunday Barnsbury is the neighbourhood restaurant that everyone wishes they lived next door to – it’s simply heavenly. 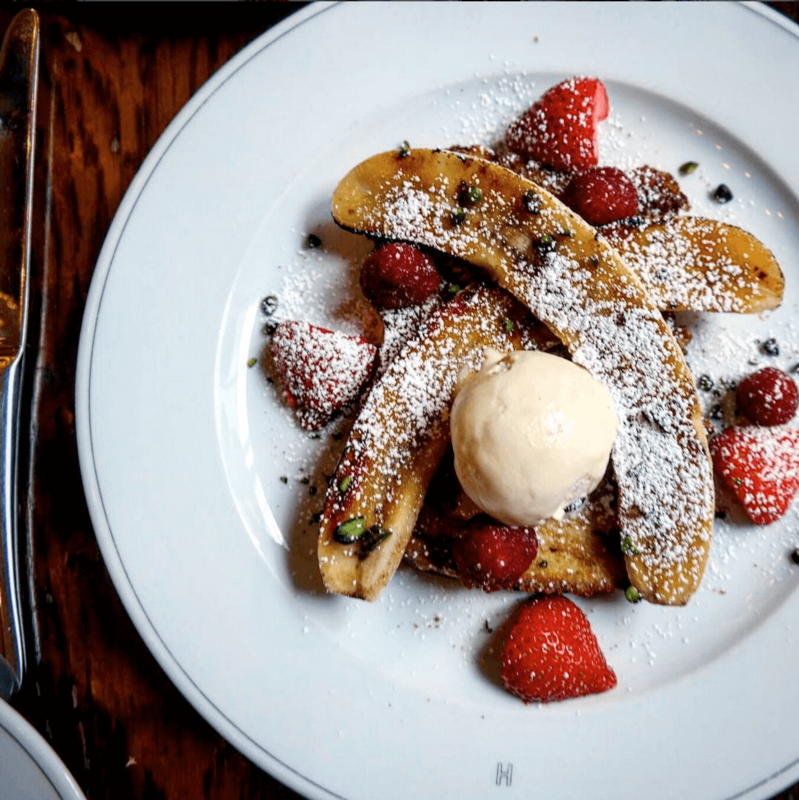 Come here for courgette fritters with poached egg and yogurt, fantastic granola with almond milk and simply to die-for French toast with banana and salted caramel. Naughty, but so so nice. Why: You’ll want to entire breakfast menu at Caravan. Really. Their coconut bread with lemon curd, mascarpone and strawberries is criminally, as is the Jalapeño corn bread, which is a fantastic marriage of chilli and cakey goodness at breakfast time. The best things in life are free, or involve corn bread. 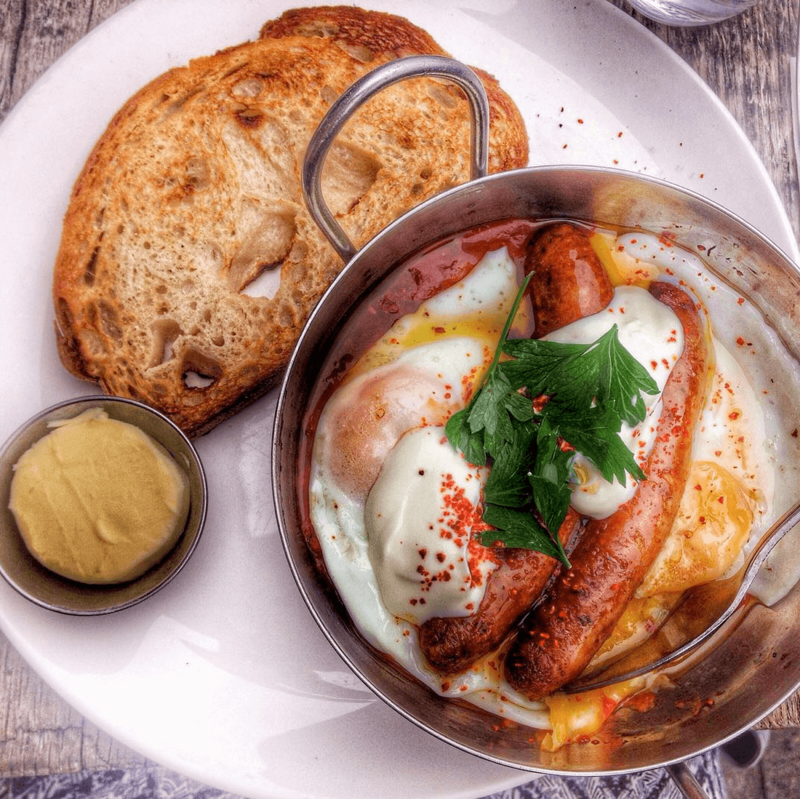 The baked eggs here uses Greek yogurt, rather than labneh, which is slightly sweeter and more rich, and balanced perfectly with the additional of the smokey Chorizo sausage. The sprinkling of fresh coriander and the touch of chilli flakes is everything on this dish. Perfect. 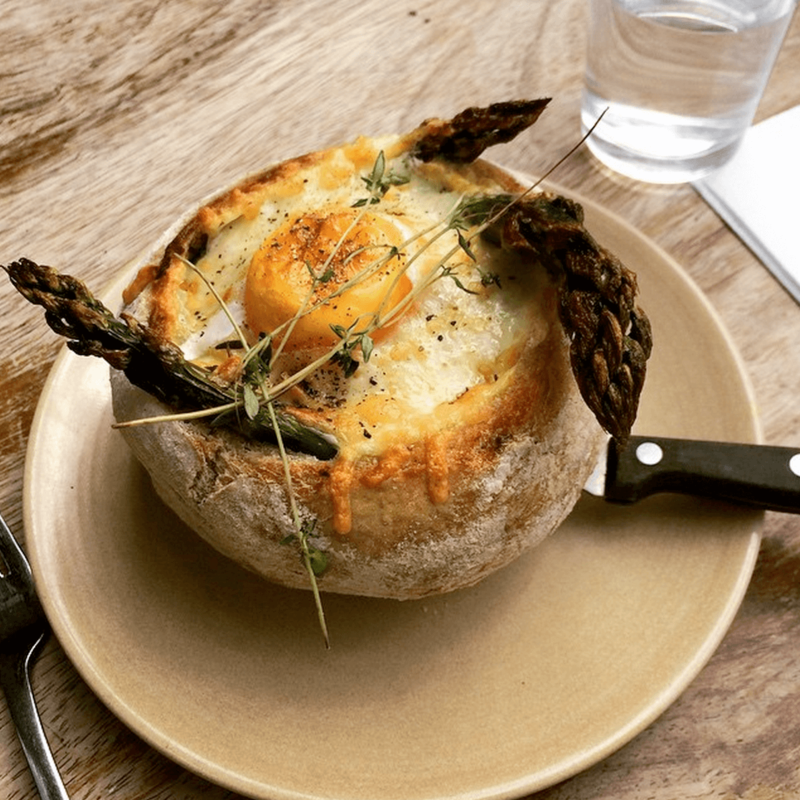 Why: The baked eggs here are the bomb – if you’re veggie, you’ve got to try the butternut squash, feta and crispy sage creation. M1lk, the all-day destination café by duo Julian Porter and Lauren Johns, located on Hildreth Street Market in the heart of Balham, has recently re-opened and boy is it amazing. 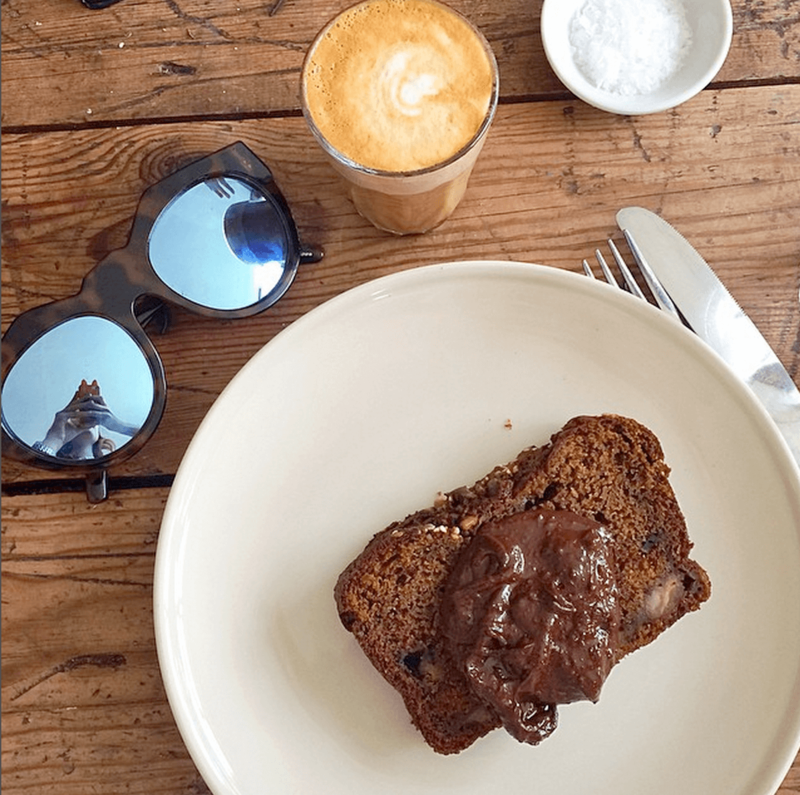 The refurbishment has seen the café double in size, with Julian and Lauren, who also own Fields all-day café on Clapham Common, acquiring the shop space next door and knocking through the adjoining shop wall. 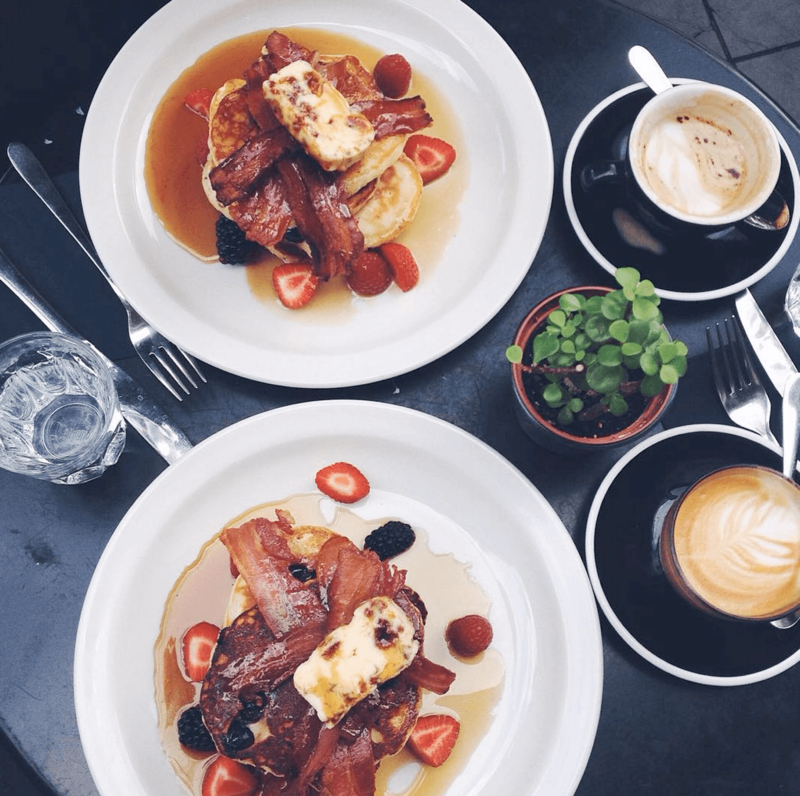 Come for some of the best brunch (and cornbread) in South London. Why: Nopi is cool on so many levels; the decor, the white walls, the low-lighting. 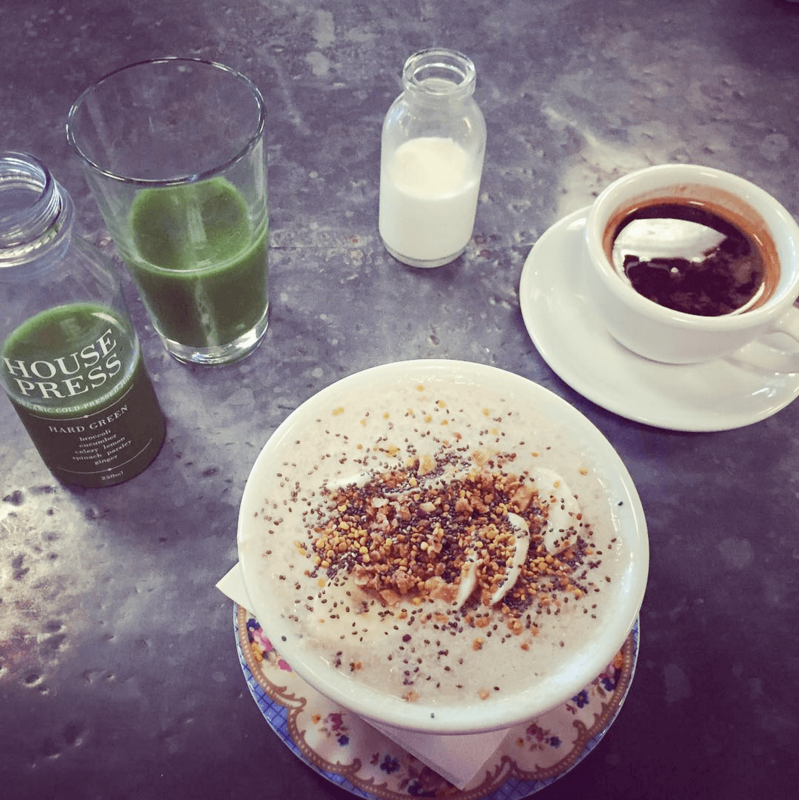 They do fantastic juices and some of the best breakfast in London – you have to try the carrot and ginger juice for a morning boost, and the homemade granola if you’re in a sweet mood. 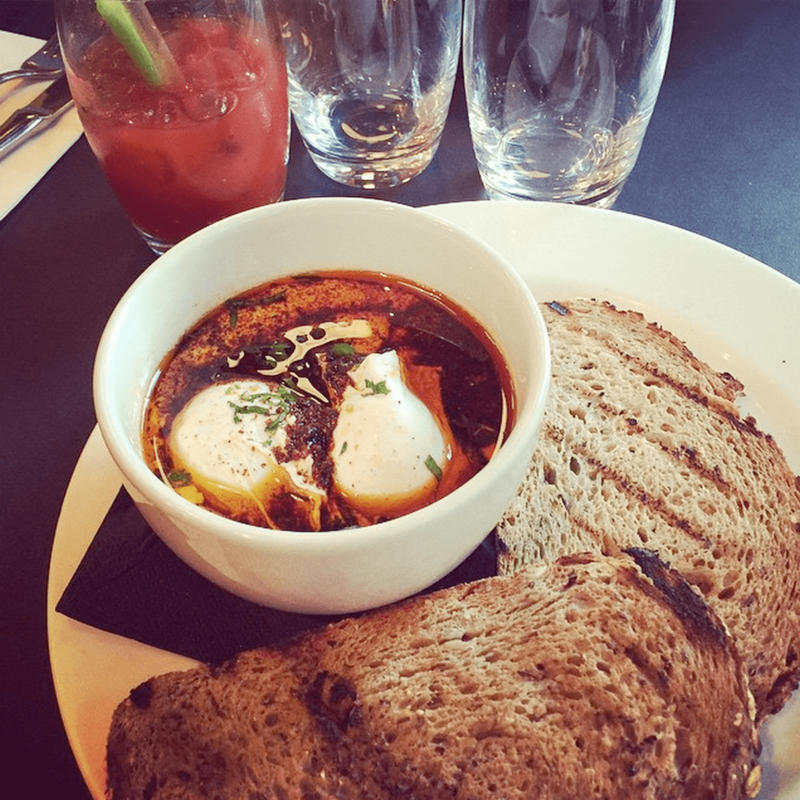 The Shakshuka here is given a special kick with the smoked labneh – a traditional Lebanese soft cheese, with a slightly sour tang, that highlights the smoky flavours of the tomato sauce. Just brilliant. Why: The Holborn Dining Room’s elegant, chandelier-decked space and courtyard is simply stunning – come here for a great traditional British menu, filled with all kinds of foodie delights. The grand brasserie serves up seasonal, locally sourced British cuisine with a twist in a vibrantly bustling dining salon. Combining reclaimed oak with antique mirrors, red leather banquettes with tweed detailing, and two antique patina copper-topped bars, it’s a place for enjoying a meal with friends. Their brunch is fantastic and these waffles are so naughty, but a taste sensation. The spelt pancakes with English strawberries and mascarpone are also totally dreamy. Why: Contemporary Danish eatery Snaps + Rye is super cool. A daytime café, created by local couple Kell and Jacqueline Skött, the cafe sits on Golborne Road and has a great design aspect. Think white walls, stylish modern furniture, red tubular shelving, blonde wood and great art. 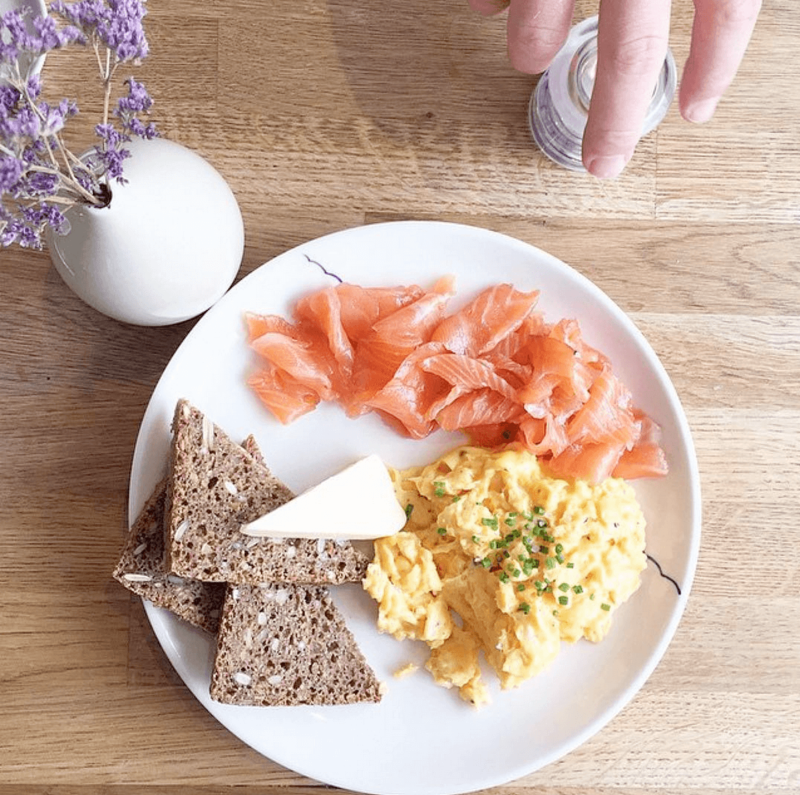 The deli specialises in ‘proper’ Danish cuisine – house-cured herring, home-pickled beetroot, Iskilde bottled water from the Danish Lake Highlands and Smørrebrød, open sandwiches of dense, dark rye bread garnished with any number of colourful, leafy toppings. Their brunch is simple, but totally perfect. Why: Aussie owned, this quaint cafe is somewhere you would find abroad, not down a side street just off Goodge Street. 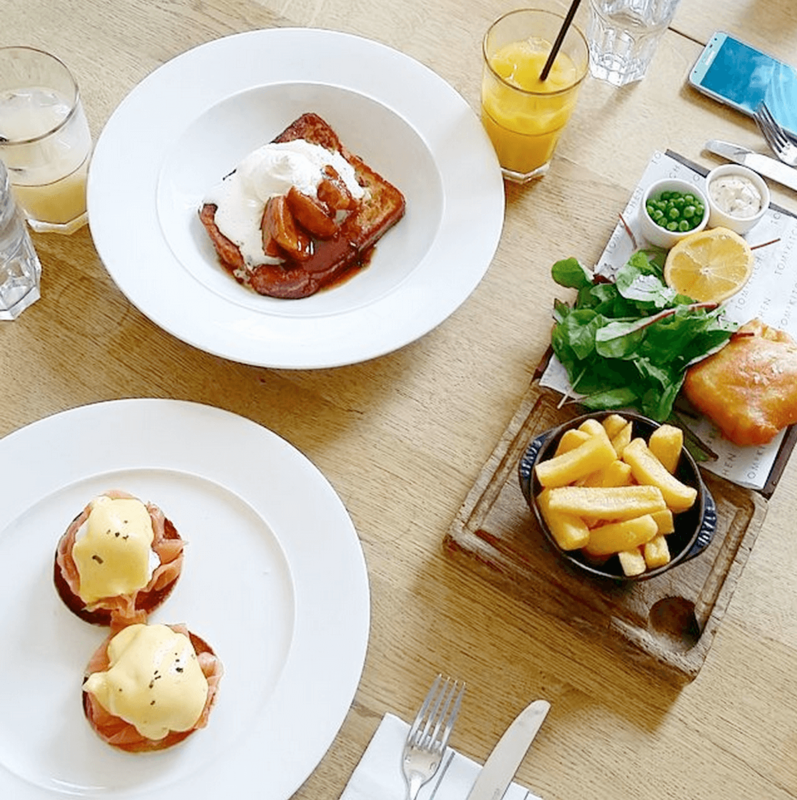 For a relaxed weekend brunch, you can’t beat Lantana Cafe – with locations in Fitzrovia and Camden, this cafe serves up some wickedly good brunch dishes. 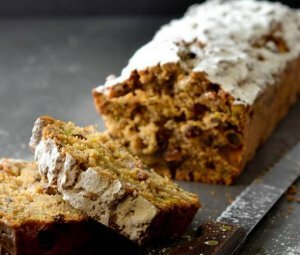 Their banana bread is the stuff of legends; the toasted banana bread with mascarpone, banana custard and salted chocolate crumb is one of the most delicious, decadent things you’ll ever try. Why: Come here for inventive and wonderful breakfast dishes – the Granola, rhubarb, yogurt, blood orange is sensational. If you like eggs, you can’t miss their scrambled eggs and ‘nduja on toast, trust me. Salon, where ex-Brunswick House Café head chef Nicholas Balfe is cooking, is a small restaurant, seating about 26, above the British deli Cannon & Cannon on Brixton’s Market Row. For inventive, seasonal food, it simply cannot be beaten. Why: The Modern Pantry knows what it’s doing. The restaurant aims to please and excite the palate by fusing everyday cooking with modern ingredients. 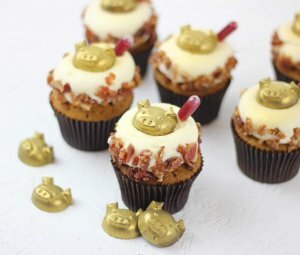 Its founder, Anna Hansen, a New Zealand-born chef who is behind gems such as The Providores and PUBLIC in New York, certainly knows how to create a buzz. Since opening in 2008, the restaurant’s globally-inspired modern cuisine has earned Hansen a cookbook, an MBE and an epic reputation. Come here for their incredible sweet prawn omelette, which has a cult-like reputation in London, and the best Matcha Latte in London. Why: Hubbard & Bell is a cafe, bar and grill in Holborn, Central London, open from early morning until late at night. The all-day restaurant has an open kitchen serving grilled meats, seafood and small plates, in addition to a wide choice of breakfast dishes and a weekend brunch menu. The Hubbard & Bell cafe serves Origin Coffee from a bespoke La Marzocco machine, cold-pressed juices, and baked goods including buns, slices and loaf cakes. 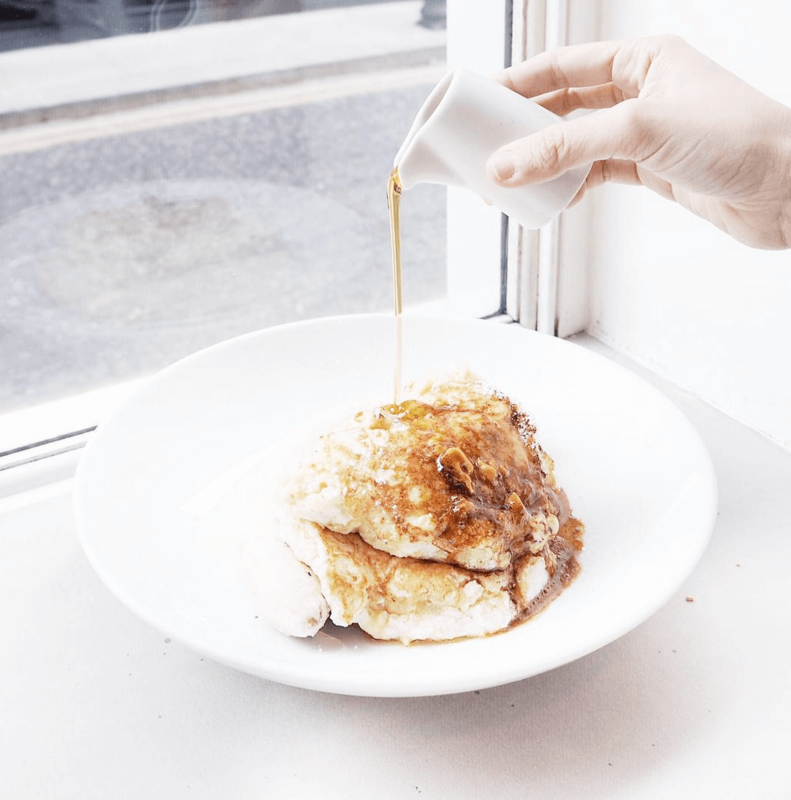 Seriously good brunch – come here for sourdough pancakes and this incredible dairy-free porridge beauty. Why: You can’t go wrong with Tom’s Kitchen. 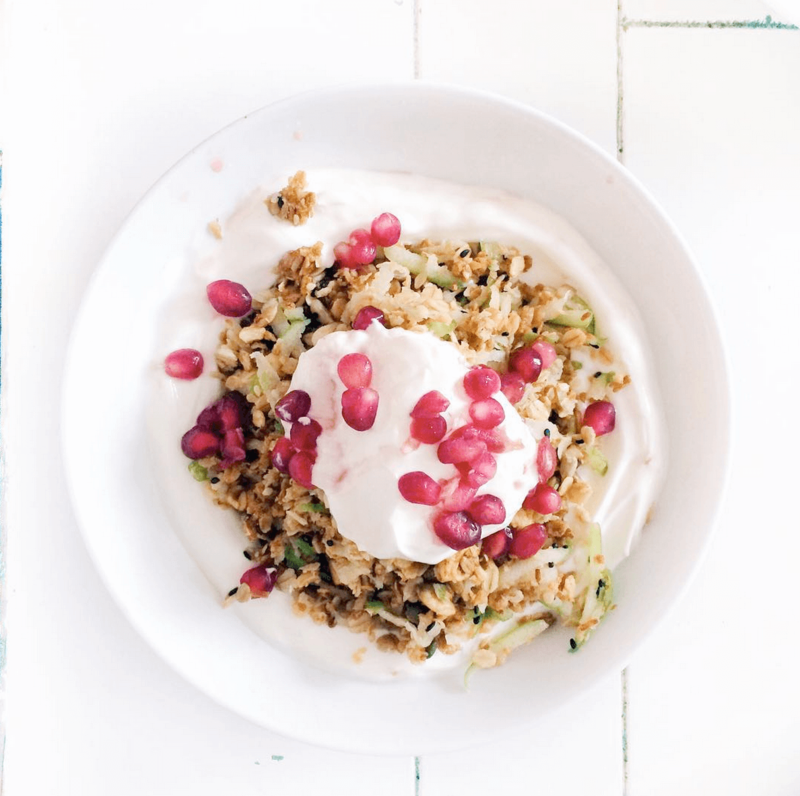 For the healthy brunchers, try the Superfood Granola with honey, Greek yoghurt, milk. For the indulgent ones, you can’t miss the Brioche French Toast with caramelised apples, cinnamon cream, berry pancakes and Eggs Benedict. 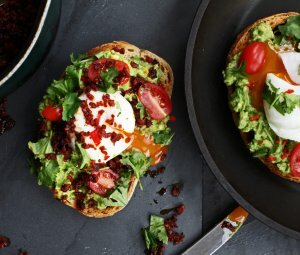 If you like avocado on toast, you’ll their twist on the classic – it comes with chilli, cashew nuts, mixed seeds, farmhouse toast. Tom’s Kitchen eggs are from Clarence Court in Liskeard, Cornwall, which makes them super creamy and delicious. If you’re feeling naughty, order a Breakfast Martini with gin, cointreau, marmalade or a Beetroot, Apple & Celery if you’re feeling the effects of the night before. Why: This bread is the dream, best eaten with a house infused Bloody Mary with cucumber, rosemary or chilli. It’s literally a Full English, in a bread. For the veggie, there’s an avocado, spinach and asparagus version. The bread comes from Better Health Bakery just up the canal, and, just by the water, this spot is perfect for a lazy Sunday. 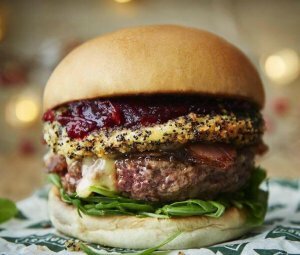 Why: Soho House, who are also being Chicken Shop and Dirty Burger, have teamed up with Ennismore the people behind ‘The Hoxton’ group of hotels and it’s not the first time they’ve teamed up – as seen by Hubbard & Bell and Chicken Shop in the Holborn Hoxton Hotel. This time round, the theme is all about egg (much like Neil Rankin’s Bad Egg). Come here for all the eggy treats, including brisket and egg bap, bacon and egg bap, pork belly, sausage meat, egg and Sriracha mayo bap and a fried chicken bap too. Glorious. Why: For healthy perfection – raw food is one of the healthiest food options available. It’s food as close to nature intended as possible. 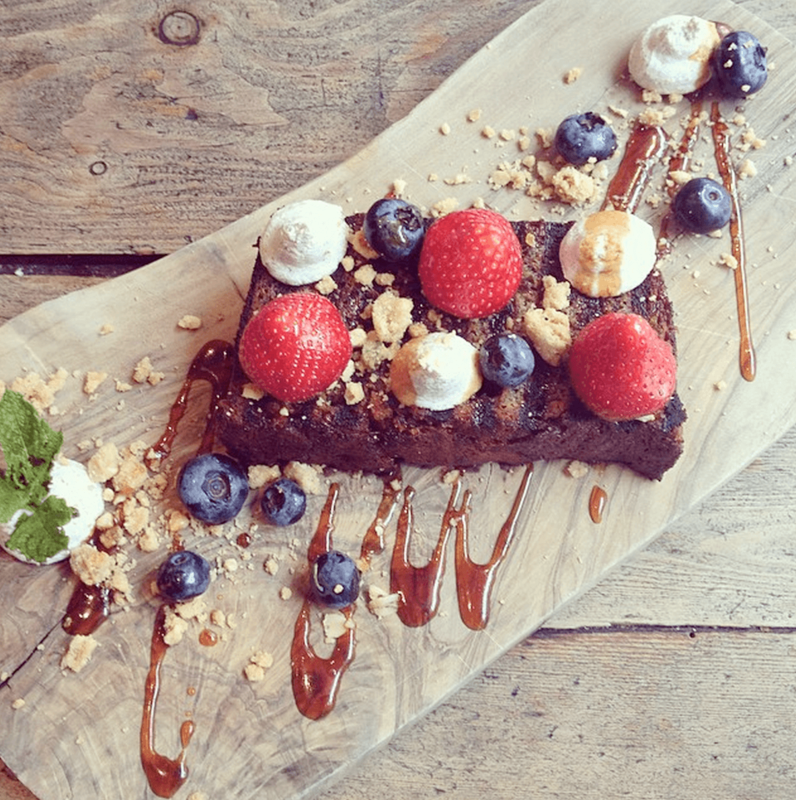 Nama Foods in Notting Hill is not only, gluten-free, it’s also dairy-free, vegan and raw. It’s a raw food nirvana, offering – beyond dining – raw food courses, catering, raw food cleanses, juice cleanses, and all manner of information on the raw food lifestyle. Try their raw sprouted buckwheat gluten-free granola with home-made almond milk, goji berries and fresh fruit, which is great as a sweet gluten-free breakfast. For something deliciously different, try the raw coconut porridge topped with hemp seed, cacao nibs and goji berries and walnut pancakes topped with banana ‘ice cream’ with frozen banana, maple syrup and star anise almond crumble. Their almond milk is some of the best in London.